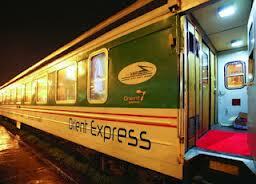 - Orient Express Train is designed according to modern and convenient style. - The comfort facilities of the wooden-paneling cabins will bring you the closeness and coziness. 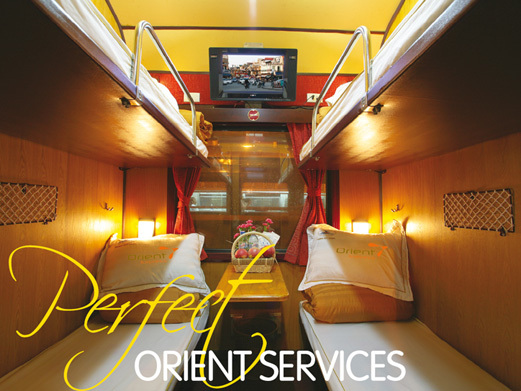 - Luxury, inspiration and refreshment are main characters of Orient’s cabins. - Clean and pure private bathroom cabin at the end of each carriage. Orient Express Train Sapa is a good reputation as a brand. Orient Express Train offers an inspirational experience onboard as well the time to enjoy the beauty of evocative destinations. Orient Express Train will ensure the most convenient trip for passengers to Sapa, Vietnam! Orient owns 2 wooden carriages. Each carriage has a Vip cabin - 2 berths, 6 deluxe cabins – 4 berths which can be set up to Vip cabin. 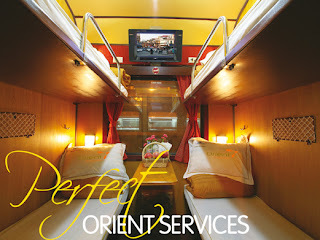 A Private Orient Deluxe 2 berths cabin and VIP Orient 2 berths cabin create an intimate space for couples with 2 berths only. These cabins are lovingly designed to for those who desire to have the privacy with remarkable interior decor. It also has other items like beer, soda and fruits.